good read. 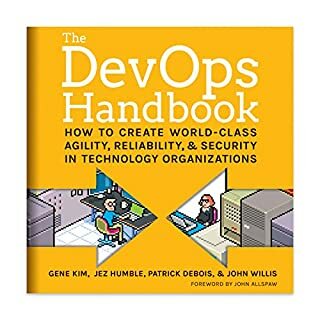 Plenty of real examples and strategies. 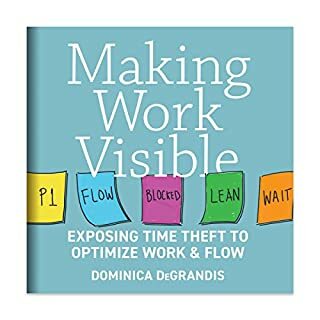 A remarkable, paradigm-shifting way to understand work in organisations. So simple, so powerful. An amazing 6 hours. Compulsory listening for anyone in charge of work and consultants who help them. Highly Effective mode of learning! very well constructed & well received. Summarization of previous works of Dr Goldratt included with personal narrative. I read the original book and now this one. It is good primer on the areas of MRP, ERP, Logistics, Supply Chains and Software. Goldratt is very opinionated and passionate. I have spent 10 years being a consultant to many companies in the same fields and I can confirm that he is the very best in this speciality. He is the Peter Drucker, Tom Peters and Stevan Covey combined for the Supply Chain space. 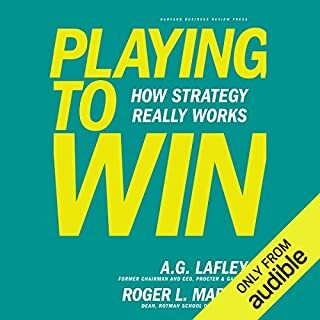 I wish audible.com would introduce more Supply Chain and Project Management books such as this one. I am currently involved in a lean transformation of a small plant, it can be very challenging without guidance. 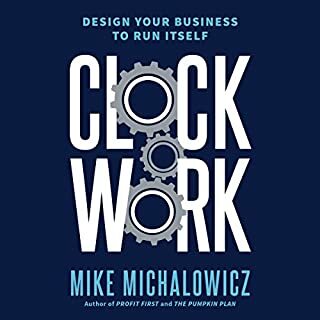 This book really opened my eyes to a lot of "conflict clouds" within the fabric of my organization. 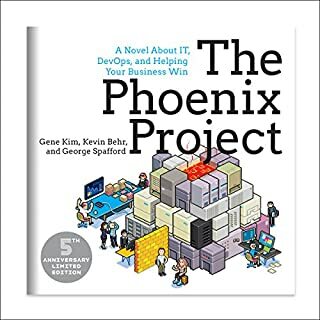 The book is basic enough to be accessible, but powerful enough to get you thinking about your problems, and the holistic approach touches everything from sales to cost accounting to engineering. Not so much a story as a lecture, but the material was engaging and informative, and the delivery was entertaining and amusing. What about Eliyahu M. Goldratt’s performance did you like? He had a tendency to alter his voice, even shouting at times to keep dry material exciting. 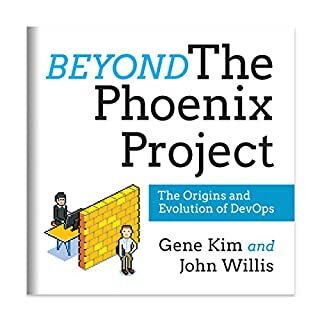 Not everyone is a lean geek like I am, but this book was easy to follow and really shows how the things holding our organizations back are often conflicting goals. By reassessing our many conflicts we can reach a true consensus on the core conflict, and once that is removed the organization can achieve dramatic change. The book is very long, but I finished it in a few days. I know that industrial engineering has come a long way since The Goal was released and Goldratt's "drum, buffer, rope" is a bit overly simple by modern standards, but many small mom and pop businesses are still way behind. Reviewing these classics is a great head start onto a lean journey. I just wish more people would be brave enough to put it into practice. if you enjoyed the goal and wanted to learn more, this is something to listen to. he expounds on all of his ideas. the way he speaks with metaphors is kind of hilarious sometimes. 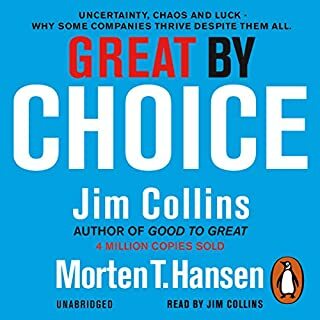 The audio book covers various examples and concepts of the goal, TOC, Critical Chain and concludes in an offer for consultants to help your company develop strategy alignment. 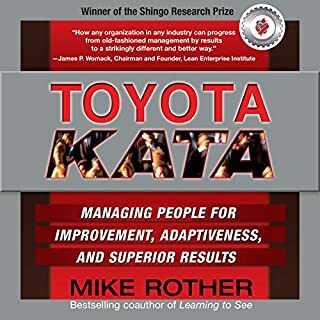 It has an interesting dialog on complexity and how using the scientific method can help formalize the conflict (root cause) and overcome major obstacles (find the silver bullet). Fundamentally, it is a six hour sales pitch. 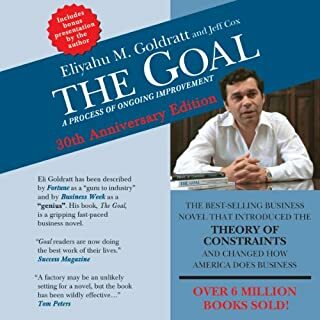 Book is ineresting but nothing compared to the Goal. The bar was set high! I am such a big supporter of Eliyahu Goldratt and he is an exceptional person. However this audio book is nothing short of a disgrace, for a smart guy he has an egotistically blind spot that is just sad. 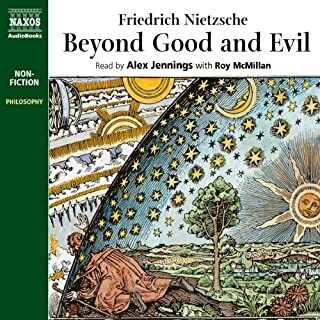 He is a terrible terrible terrible narrator and makes a good message awful, I think buying this book in audio format would be a terrible error. With all due respect to Goldratt, I found it very difficult to understand him with his very strong accent. Time to employ a voice over artist. Brilliant. 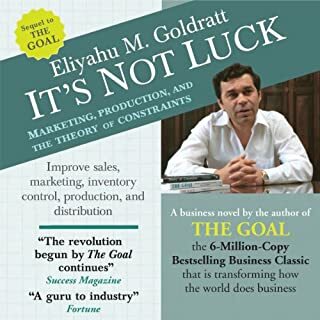 Must read for all who read the GOAL and all other books of Eli Goldratt. 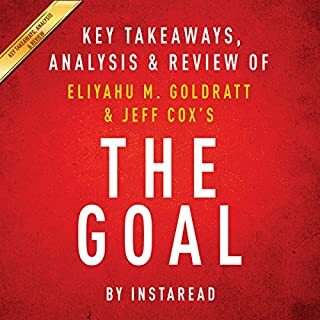 This book is a good overview of Goldratt's ideas. I will definitely have to read the articles and books he referenced in this book to gain a detailed understanding of TOC. Whilst there is good material in this recording it very quickly gets old hearing the presenter refer to diagrams/charts you can't see as he is presenting live in front of an audience here ... 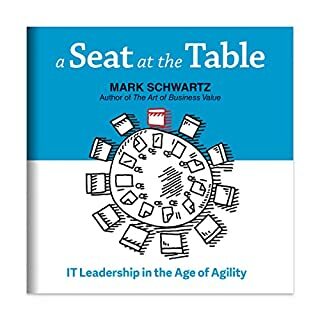 The initial guidance says there are files that can be downloaded with the PowerPoint slides: I can't find them and got no response when I emailed audible to ask for them. 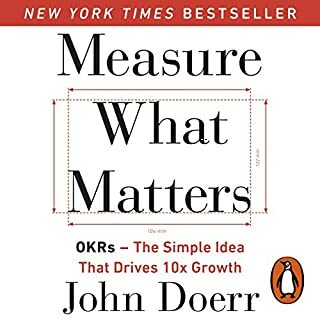 Great listening experience on TOC that is very relevant to business today. I would highly recommend listening. 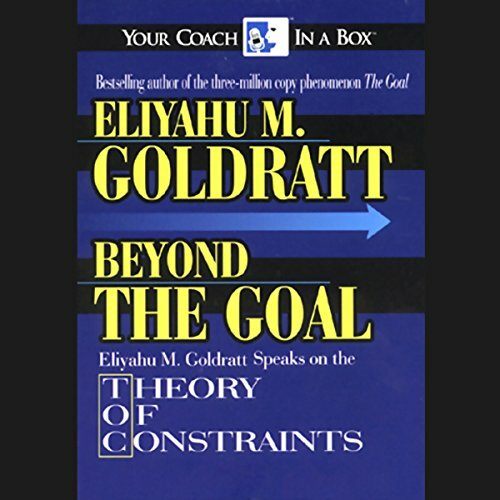 Doctor Goldratt was a great orator and story teller.He has explained with great details and simplicity some key concepts of TOC in this book. What did you like most about Beyond the Goal? 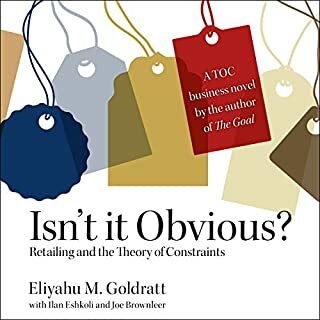 Eliyahu gives an excellent talk on the principles of TOC and relates his talk expertly back to his books "The Goal" and "It's Not Luck". 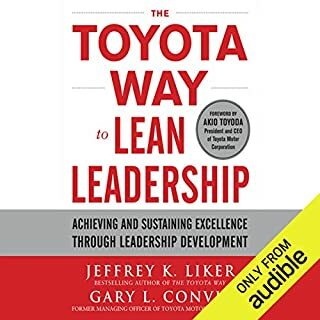 The books opened my eyes to the world of Business Improvement and this talk has cemented the principles in my head. Most definitely. Eliyahu talks passionately about his topic which drew me in and made me never want to stop listening. 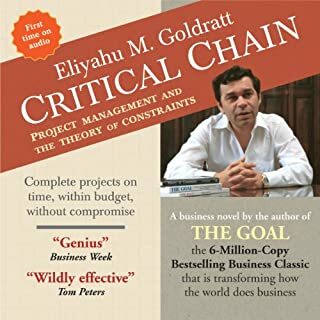 If you haven't read any of Eliyahu's books then this is an excellent introduction to his Theory of Constraints which I am completely convinced will make you want to read his books and addopt his methods of improving work flows. 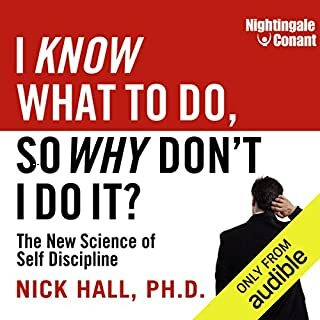 If you have already read his books then this talk is a great listen to cement the theories in your head and remind you of the guiding principles.